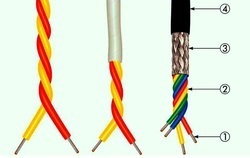 PTFE Insulated WiresWE are leading a Manufacturer, supplier and exporter of PTFE Multicore Wires . Our product range also comprises of PTFE Insulated Cable, Teflon Wires, Teflon Cables, PTFE High Voltage Cables , PTFE Extra High Voltage Cable. These are available in various sizes and as per requirements of our clients. We are instrumental in providing our clients a comprehensive range of PTFE Cable.